Main purpose of this report is to Informative analysis on Public Interests Litigation for the Conservation of Environment of Bangladesh.Public interest environment litigation describes legal actions delivered to protect or apply rights enjoyed by members with the public or large elements of it. 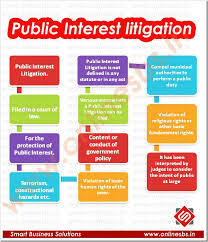 Public interest Litigation”, in simple words, means, litigation filed inside a court of law, for the security of “Public Interest”, such as pollution, Terrorism, Path safety, constructional hazards etc. This entire report is focusing on the initiatives, have been delivered to separate the judiciary on the executive and consider some of the obstacles available to implement the initiatives in this particular path.